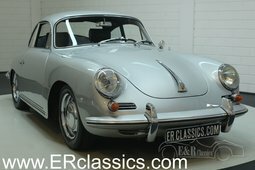 This 1964 Porsche 356 C Coupé was delivered new in America. 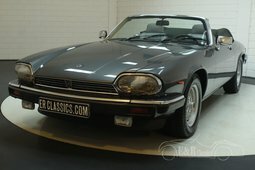 The body has a dark brown metallic paint and the interior is in brown leatherette. 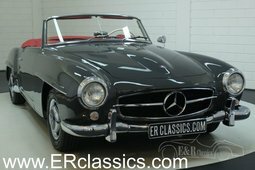 In the past, this German classic car has been body-off restored and is therefore in excellent condition. The air-cooled 1.582cc matching numbers engine and the manual transmission give the Porsche a very good ride. 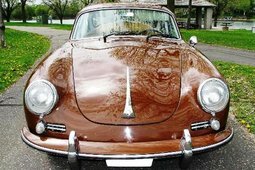 The C-version is the last of the 356 production series and has front and rear disc brakes. 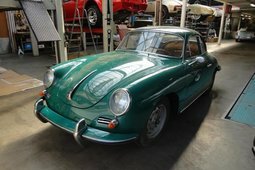 In short, a top condition Porsche 356C Coupe performed in a beautiful colour combination.